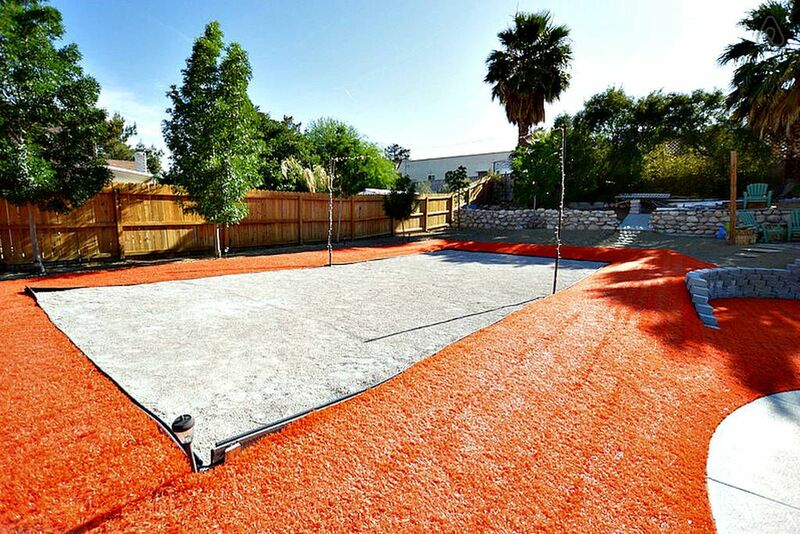 Sand Volleyball And Orange Turf...This Is Vegas! The excitement of Vegas is best enjoyed in moderation. This ranch style, open floor plan home with glorious out door space is perfectly placed (4 miles to zip lining at the Fremont Street Experience and 8 miles to the fountains of Bellagio) to afford a great night out and relaxing days at your private pool. I’ve been hosting guesst for over 4 years and truly love it. I live just down the street if you need anything. If not, I let you enjoy all this house has to offer. PS. If you are a golfer, the Las Vegas 'Muni' golf course is less than 1/2 mile away. I am a displaced mid-western farm boy. After living in San Francisco for 8 years, I moved to Vegas to slow down a bit and bought this house. I did a lot of remodeling and updating...including 100% desert landscaping and solar pool heating. When I outgrew the space I just couldn't part with the house and started vacation renting it in June of 2014. I didn't like the level of service the management company was providing so I took it back and am now managing it myself. I still live in this awesome neighborhood just a few houses down the road. I look forward to meeting my guests. I am a licensed real estate broker/salesperson in the state of Nevada. If you happen to be thinking about relocating, I'd be happy to help you find the perfect home in Las Vegas. I call it easy living. I've updated all of the appliances, took down a wall to open the space up and made great improvements in the back yard. The orange turf is actually the same turf used when the Wynn opened to advertise Avenue Q! It's fun and a great way to conserve our precious water in the desert. 4.1 miles to Freemont Street Experience. Glass top table seats six and can expand to 8. Basic cable stations only...but let's be honest, this is Vegas...who needs TV? Backyard is mostly turf or sand volleyball court. 10 x 12 outdoor gazebo with outdoor lounging furniture as well as outdoor dining table. Las Vegas Golf Course is less than 1/2 mile from house. Pool has solar heating all year long, but does not get enough daylight hours to heat pool in winter. Updated spa to one touch spa operation in January 2015. No more knobs to turn or switches to flip. Just grab the remote, touch the spa button and select the temperature. If you are looking for a family friendly place that is away from the smokey, seediness of the strip but not too far away so you can get there easily for shows and activities - then this is the place for you! Large, clean and spacious, with a great pool, hot tub, volleyball area and fire pit. Our family of 5 found this property to have everything we wanted from working wifi, kitchen amenities, plenty of beds, bedding, bathrooms etc. Doug was fantastic and we had no issues nor complaints. We will be back next year. The house was well stocked and the back yard is like resort all to yourself. The kids absolutely loved the pool and spa! We cant wait to come back! I'm so happy you all enjoyed the house and your trip to Vegas. And THANK YOU for leaving the house is such fantastic shape. We had a great stay. The house had everything we needed and Doug was a terrific host. We loved the spa, pool and outdoor living space. Great location with easy access to hikes, shopping and to the strip. Very nice and worked perfectly for us! Very clean and had exactly what we needed for all of us. Thank you! Thanks for taking time to let others know what you thought of my property. Of course I'm fond of my house, but it means a lot when others take the time and let us know what you think. Hope to see you on your next visit to Vegas! House is was clean and well kept. The backyard was awesome. The house could use some small updates but nothing major. Overall we would stay there again. Very accommodating. Very cool place. Close to the strip. Highly recommended. My house is approximately 4 miles (10 minutes) to Downtown Las Vegas and 8 miles to heart of the Las Vegas Strip.. My subdivision was the first one ever built on a golf course in Las Vegas...yes we are Classic! :-) . The course is good and very reasonably priced. This is not a party house and may not be used for events attended by more than 15 People and only 10 overnight guests. Failure to comply with this house rule can be grounds for immediate removal with no deposit refunds given.